WARNING: Don’t be fooled by high voltage claims! Microcoulombs/charge (uC) indicate strength, not volts! 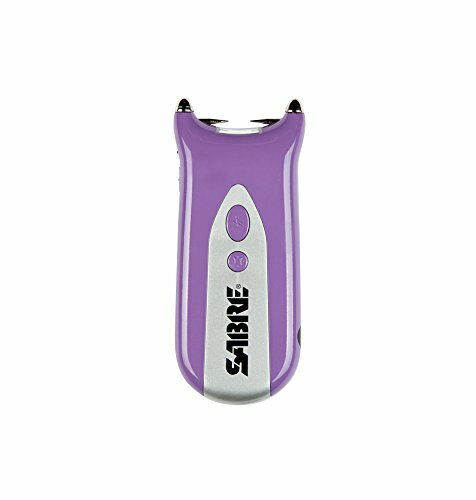 This SABRE stun gun offers exceptional stopping power and is test-fired before leaving the factory. 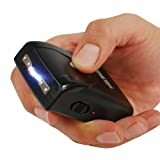 LED flashlight - ideal for locating important items in the dark. Reusable - requires 2 CD123A lithium ion batteries and backed by a 2-year warranty. Compact size: 4.8” x 1.9” x 0.8” / 12.2cm x 4.8cm x 2cm. Maximize your safety - includes access to FREE Training Video. Sabre 500,000 volt stun gun. Very accessible with a wrist strap and belt clip. The safety mechanism is equipped with an on/off switch and trigger switch. Very reliable, Sabre test fires every unit before it leaves the factory. Sabre offers a 2 year warranty on every stun gun.